Our friend and client, Randi Hoffmann, came to us seeking suggestions for how to grow her solo-practice acupuncture business. 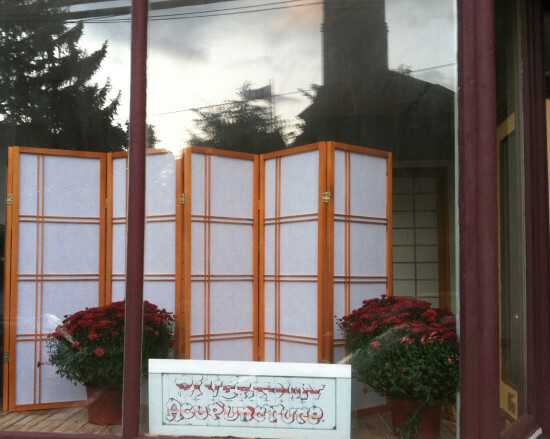 Randi has extensive training and expertise and exudes a warm personal style that wasn’t coming across on her website. Worse yet: her three year-old, custom WordPress theme was not mobile-responsive and as a result Rivertown Acupuncture was not ranking well in Google search results. We’ve already written about the necessity of having your business website look great across desktops, tablets and smartphones. It’s more important than ever to make sure visitors to your site have a great experience no matter what sort of device they use. 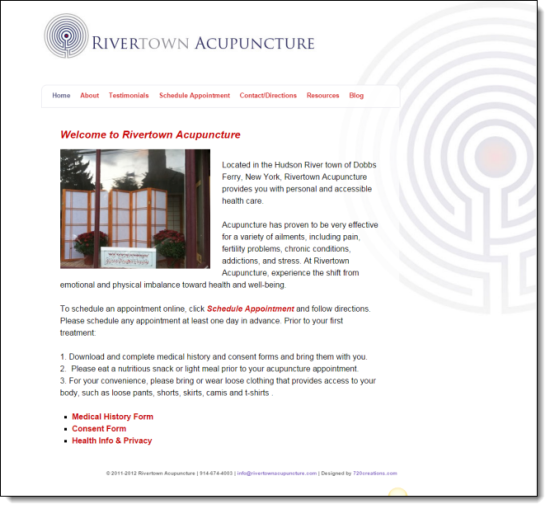 Here is a screenshot of Randi’s old site, and here is a link to the new Rivertown Acupuncture website. 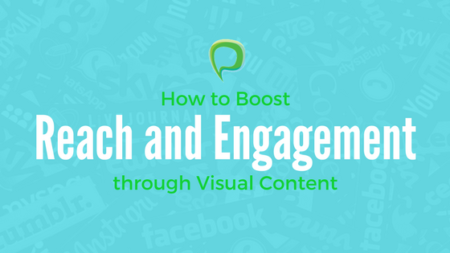 It displays beautifully across mobile devices and lets Randi’s talent and knowledge shine through! It provides potential patients with valuable information they can use to determine if acupuncture will help their situation, whether they are seeking treatment for chronic pain, insomnia, infertility, or any of the many other problems that acupuncture might alleviate. Randi’s description of how she approaches these problems gives her an opportunity to show off her deep knowledge, too. It provides search engines, like Google and Bing, with enough keyword-rich content to understand what the site is all about. This is important! As search technology evolves, websites are ranked and returned in results based on how closely they match the searcher’s intent. In other words, it’s no longer enough to place a few keyword phrases on your page and expect to rank well in search results. Once launched, Panoptic continued to work with Randi to address some of her “off-site SEO” issues: making sure Rivertown Acupuncture’s social media pages were well-optimized, ensuring her listings in local directories were claimed and the information complete and accurate. Mobile websites… so much to learn.